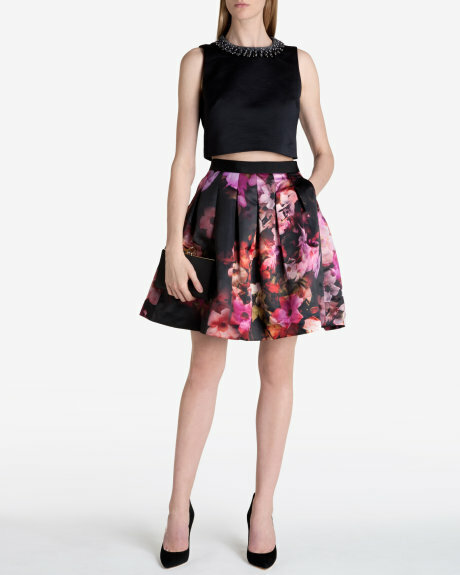 Eye-catching abstract print panels mix up this classic mini skirt’s streamlined silhouette. A smattering of pretty blooms makes this piece feel like a little slice of springtime. Exotic florals are a key motif in Marni’s Resort ’15 collection. This silk-crepe skirt is draped through one side and fully lined for a smooth fit. Keep this asymmetric style in focus with a crisp shirt, or wear the print from head to toe with the matching top. 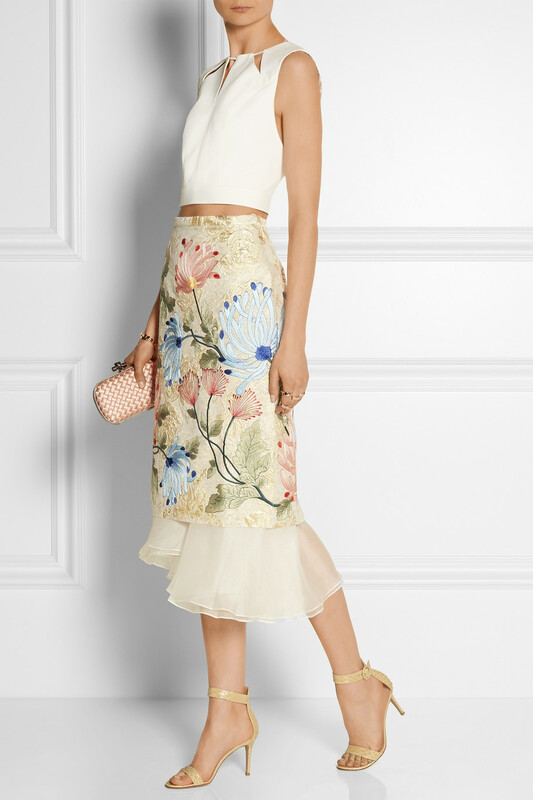 The micro floral print on Victoria Beckham’s organza pencil skirt is a key feature of her Pre-Spring ’15 collection. Cut to sit at your waist, this piece is woven with black ribbons and has a contrasting wool and silk-blend back. Adjust the two-way zip fastening for a flexible fit. Let your love of florals bloom with ABAIGH. 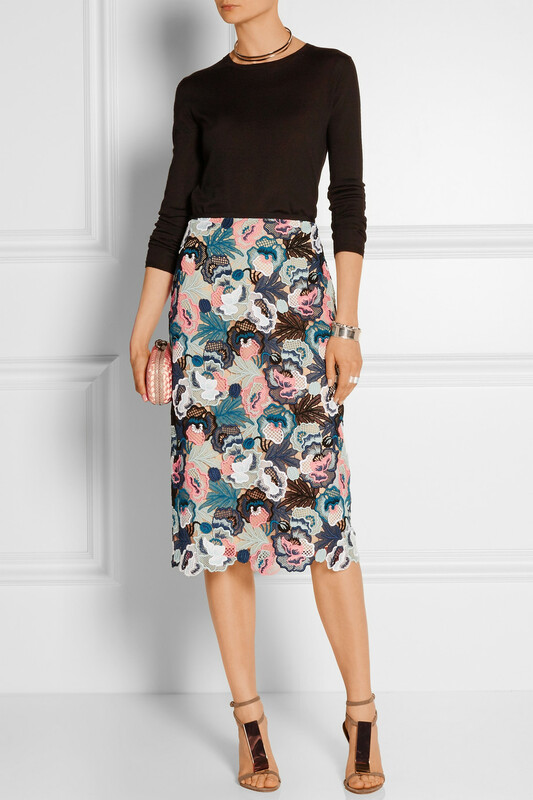 This full pleated skirt is an elegant way to wear Ted’s stunning cascading floral print. Continue the feminine feel with a matching top like PRIDDYY or LANIE. 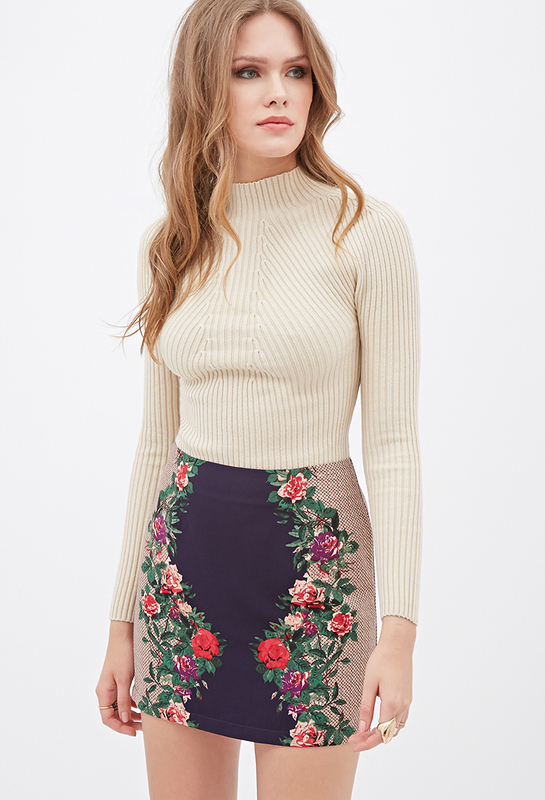 Dolce & Gabbana’s floral-print skirt is flattering no matter what your figure – it sits high on the waist and flares out at the hem. Offset the vibrant pattern with a white top. Biyan puts a strong emphasis on fabric, texture and shape, creating breath-taking essentials like this floral-embroidered brocade skirt. Woven with lustrous gold thread, this slim-fit design has a removable semi-sheer silk-organza underlay that peeks out along the hem. Wear it for evening with a cropped top and sandals. Erdem Moralioğlu’s muse for Spring ’15 was Victorian botanist Marianne North. 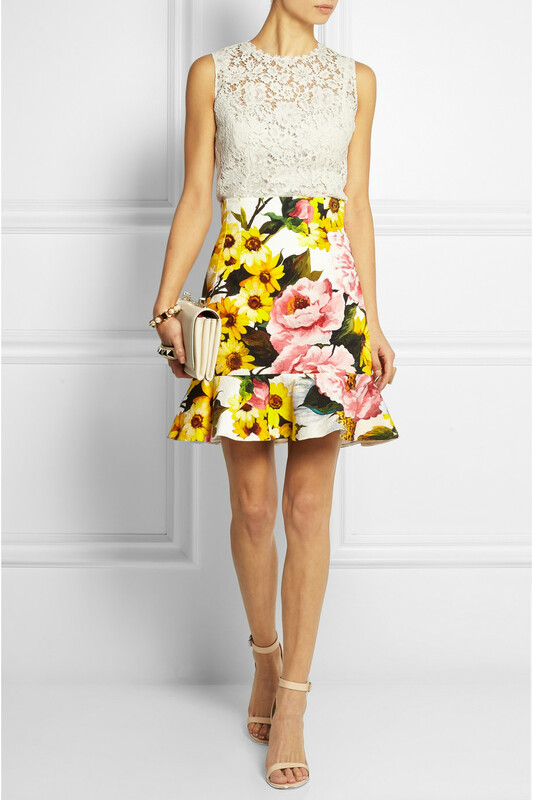 In line with the floral fabrics seen on the runway, this guipure lace skirt is made from rich petrol, white, pink and navy hues. Fully backed in beige silk, it looks best styled with a solid top for evening.